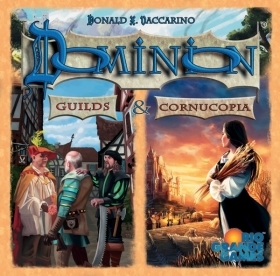 Dominion: Guilds & Cornucopia combines the Dominion: Guilds and Dominion: Cornucopia small box expansions — originally the fifth and the eighth expansions — into a single large box expansion. 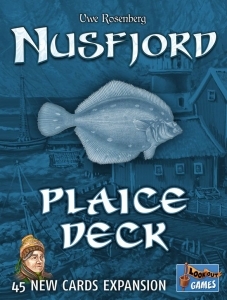 The cards from Dominion: Cornucopia — 13 new Kingdom cards, plus 5 unique cards — are focused on variety, with cards that reward you for having a variety of cards in your deck, in your hand, and in play, in addition to cards that help you get that variety. Dominion: Guilds also consists of 13 new Kingdom cards, with some of these cards allowing you to get more out of them by paying extra when you buy them. In addition, this expansion contains coin tokens that you can save to spend later.